I started riding in Spring 2016. 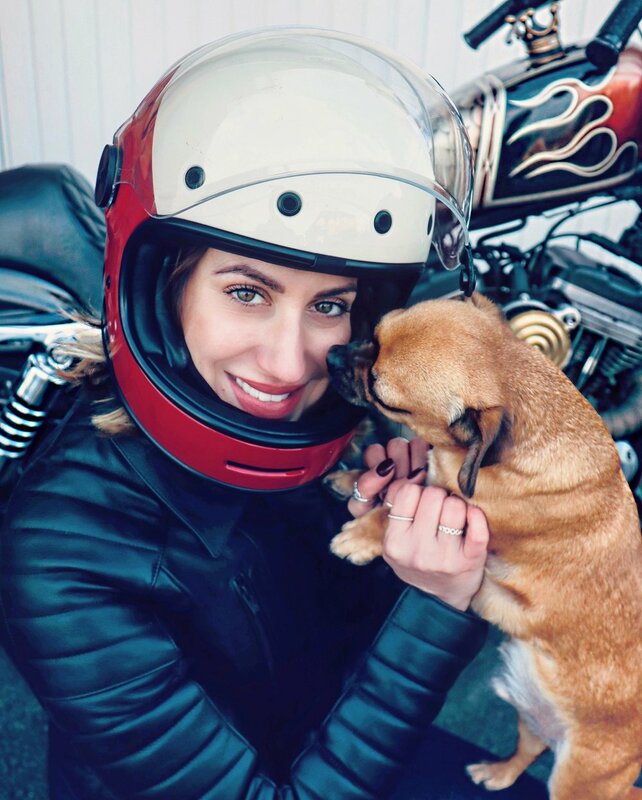 Motorcycles weren’t something I had ever really thought about before then, but after meeting my partner Albie (who rides) in 2015, it completely opened my eyes to the world of biking! What fun!! We went everywhere, two up, on his Harley-Davidson Sportster. Day, night, rain or shine, we were out and about, usually meeting other friends on their bikes. After a year or so of riding pillion I decided I wanted to ride my own, and went on to do just that! Here in the UK it’s quite a long process, you have to do a day course called a CBT which allows you to ride a bike up to 125cc with L plates, and you also need to take (and pass!) a motorcycle theory test. After those are in the bag you can go on to do your motorcycle training. At the end of that you take 2 further practical tests, and you need to pass the first one before you can go on to take the second! It took my 6 attempts to pass my driving test, but luckily I passed my motorcycle one first time!! Motorcycle culture is ever evolving. I think many would agree it is very different now to how it used to be! But it’s core value and spirit remains. The community, for me, is what makes it so very special. I have met so many people, and made so many friends just because I ride a bike. I could never have imagined the impact it would have on my life, and I’d say it’s one of the best decisions I’ve ever made. I don’t know of anyone who has learnt to ride and regretted it, it just doesn’t happen!! I started out on a Yamaha 125 whilst I practiced riding for around 6 months. 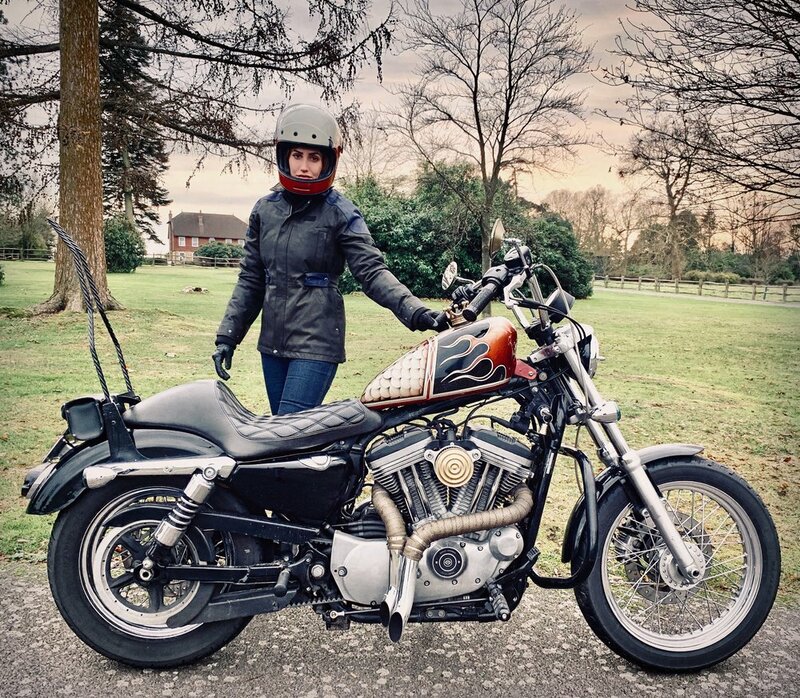 Once I got my full license I bought my Harley Sportster. I have a pet palace so our little dog Arty can ride with us! I have done quite a lot to my bike in our garage at home, and learnt a lot along the way! I started using social media to document my life on two wheels. I learnt how to work on my bike, and started sharing this on YouTube. It’s all a learning curve, and for me its just about having a go, and having fun! From there I went on to become a brand ambassador for British motorcycle clothing brand Knox. 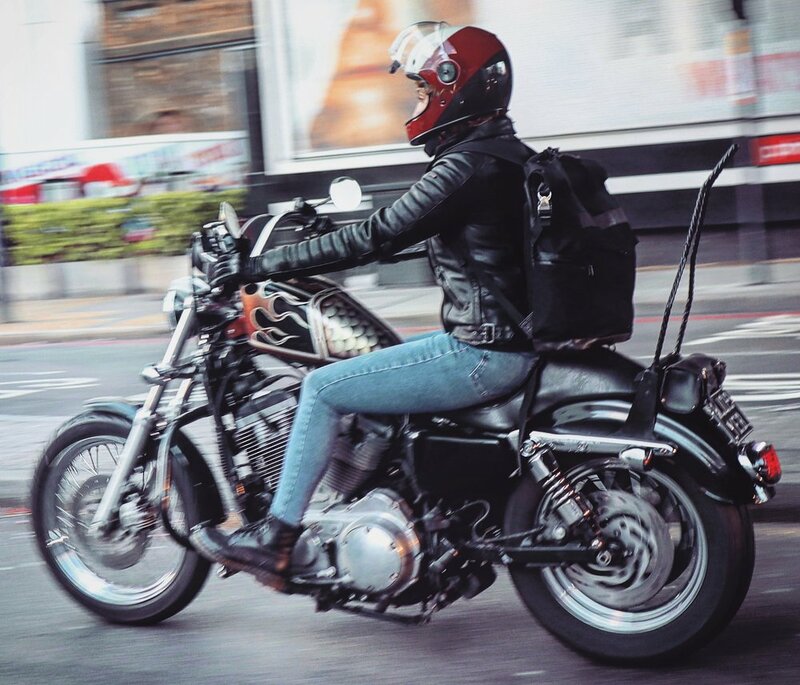 I’ve used my platform to host rides through London, arrange meet ups for female riders, and also have an event in February for ladies that have always wanted to ride but haven’t started yet. I’m hoping I can give them a little boost of encouragement and get them started on their biking journey! Want to be a part of the Petersen Digital Exhibitions? Submit your story!